When I was little girl, my little sister and I used to open up mail order catalogues and pick out one item from each page. It was a way to dream about what we would buy if we had the money. Our favorite as the Sears Wish catalog, with so many wonderful toys! Did you know that most of those mail order gift catalogs are still around and or that they are even better than ever? 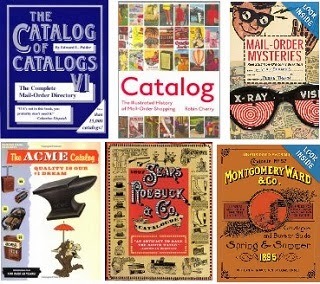 I went hunting online to find you a selection of the weird, fun and unique mail-order catalogs available to request today! With this assortment of mail-order catalogs to choose from, you can be creative - with fun things for kids, or gag gifts for your family. My son loved cardboard boxes - one time we made him a whole city in our living room out of cardboard boxes. Office supply catalogs provide lots of interesting gifts for work-at-home moms!